I made this Louis Vuitton wallet cake with a chocolate mocha cake with fudge frosting for my boyfriend’s sister’s birthday. 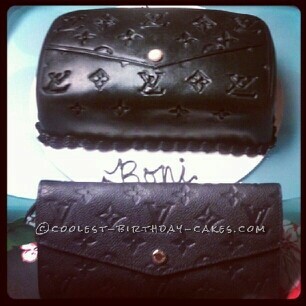 I covered it with black fondant and individually drew the details for this LV wallet, to match her wallet. Everyone was impressed! I love seeing their reactions to the cakes I make.